Jiroft, cradle of human civilization in Iran? For centuries, Mesopotamia was thought to be the world's oldest civilization. This was generally accepted by most people until a 5,000-year old temple was discovered in Jiroft Historical Site in Iran's southern Kerman province, prompting archaeologists to identify the region as the world's oldest cradle of human civilization. ID: Please explain the various phases of excavations that have been conducted in Jiroft. SOLEIMANI: The first phase of official archaeological studies was conducted during 2002-2007. The studies resumed in the region in 2014 after a seven-year pause. However, I have been exploring the Jiroft region since 1995, since I was aware of the historical importance of Jiroft, years before official studies began. 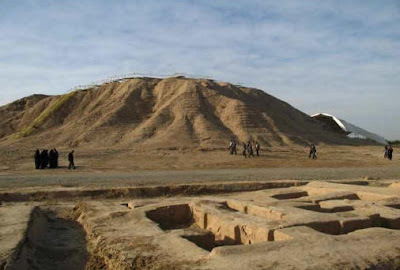 Currently, the second season of excavations is underway in Esfandagheh Plains in Jiroft. The first season was completed last summer. Valuable architectural items have been unearthed during the first and the second excavation seasons, including evidences of Neolithic settlement and the remnants of ancient buildings in red and yellow colors. In addition to archaeological excavations, the joint three-month research studies were conducted in collaboration with a delegation from German University of Tübingen International and Iranian experts during Feb. 20-May 20, 2015. The research yielded positive outcomes and raised our knowledge about the historical site. ID: American archaeologists have described Jiroft's excavations as the largest excavation projects of its kind ever conducted in the Middle East. The importance of Jiroft's human civilization has been accepted by French, British and Italian experts as well. 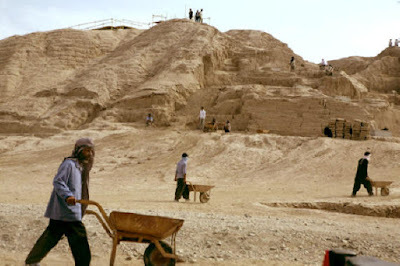 Many experts also believe that if any important event were to occur in the field of archaeology within the next 50 years, it would definitely occur in Jiroft. Please tell us more about the geographic situation of Jiroft and its importance. SOLEIMANI: Many think that Jiroft is only a city with identifiable boundaries. This is while, when we talk of Jiroft we mean an extensive cultural field that once was thrived along Halilroud river. The river is situated in the southeast of Iran near Jiroft, Kerman province. The river, which extends for 390 kilometers, runs along the Jiroft and Kahnuj districts. It originates in Hazar mountains, some 3,300 meters above sea level and about 100 kilometers to the northwest of Jiroft, and flows to the southwest. Many historical hills have been located in this massive area, each providing valuable evidence of the cultural richness of the region. The region is host to various archeological teams every year. ID: Which countries are involved in the archaeological excavation project of Jiroft? SOLEIMANI: The US, France, Italy and, very recently, Germany have so far sent archaeological teams to Jiroft. Foreign archaeological teams can only work under the supervision of Iranian experts. Their activities are also limited. ID: Why are foreign teams needed for excavations? SOLEIMANI: Today, archaeology is regarded as an interdisciplinary field. Ancient Botany and Osteology are among the fields of study that have contributed to the development of global archaeology over the past few years. Such fields of study are not available in Iranian universities. Sometimes, they are available but domestic knowledge about them is poor. Theses shortcomings make the need for using the proficiency of foreign archaeologists greatly felt. Foreign experts engaged in excavations help train Iranian students, improve their knowledge, and contribute to the archaeological excavations. ID: Numerous illegal diggings have taken place in the region in the past, leading to the smuggling of many valuable items. What has the government done to address illegal pillagers or prevent such problems from recurring? SOLEIMANI: Illegal diggings have damaged Jiroft historical site over the years, leading to the smuggling of a great volume of valuable historical objects, which are now being kept at the world's prestigious museums. The Iranian government has taken effective steps for the repatriation of such objects. Eighteen artifacts, each dating back to 5,000 years were returned home four years ago thanks to former government's efforts. The return of historical objects becomes a more complicated if they are owned by unknown private collectors or kept at private museums. Filing lawsuit against private collectors in international courts is a tougher job. ID: How much money is allocated for archaeological projects annually? SOLEIMANI: An annual $10,000 is allocated by the government for archaeological excavations in Jiroft, which is meager given the extensive areas which have to be explored. An archaeological team consists of only six individuals and this is not enough for conducting excavations over such extensive areas. All the shortages pave the ground for looters, and increase the risk of illegal diggings. urrently, the digs are refilled on the completion of the projects so that the site and historical objects can be protected. This is while, a historical site, such as Jiroft, can also serve as an open-air museum. An open-air museum attracts so many visitors and contributes to the development of tourism sector as well. What about Gobekli Tepe, in Turkey? 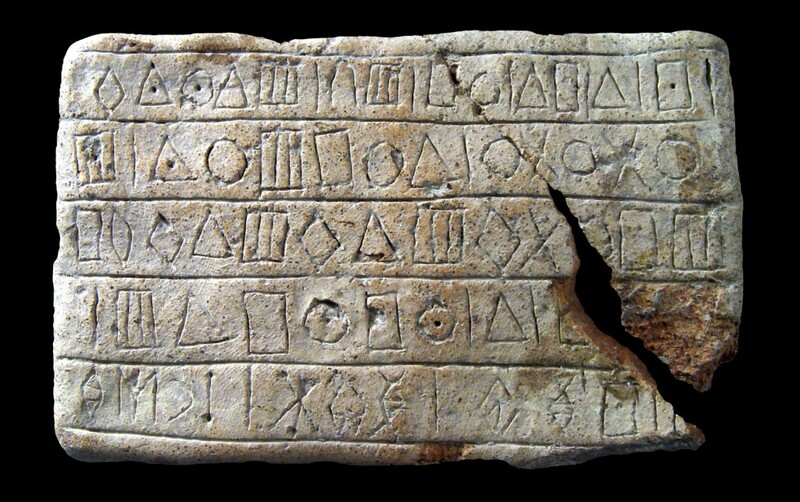 This is so amazing, to learn that there were some even before the Mesopotamian.